Wash the rice and urad daal separately and soak overnight. Mix the pastes together and add salt to taste. Keep this batter aside overnight to ferment. Apply cooking oil to the moulds on an Idli tray. Pour batter in each mould to fill it 3/4 full. Put 2 cups of water in a large vessel and heat. 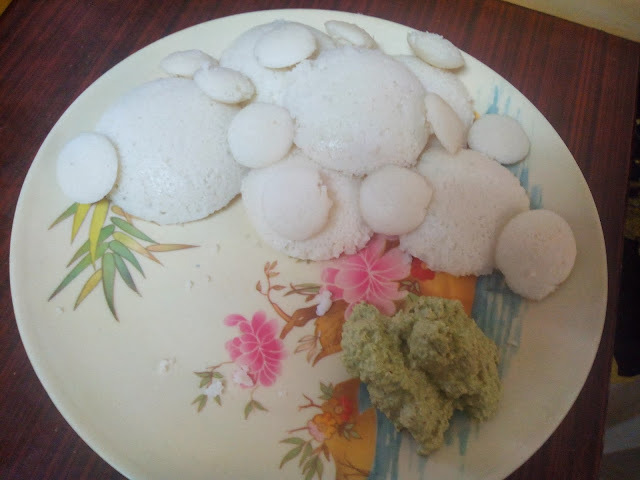 Put the Idli tray into the vessel and steam for 20 minutes.